Mandaue Foam! - All Chucked Up! You are Here >> Home >> Rave >> Mandaue Foam! I was like a kid going on a field trip, in awe of everything my eyes beheld. 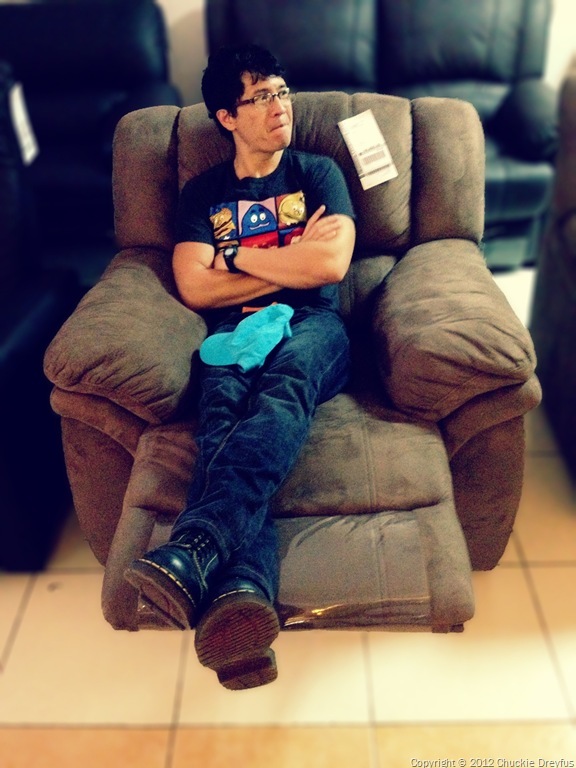 I was drawn to stuff that a typical guy would normally gravitate towards… like Mandaue Foam’s comfortable recliners which are perfect for home theatres! I also pleasantly found out that Mandaue Foam even offers free color customization of purchased furniture to fit your liking! Yep! Want a sofa that compliments your outrageously fuchsia-colored wall? No problem. Need a chair that stands out among all the bland colors of your living room… done! Also, aftersales service is something they absolutely take pride in. 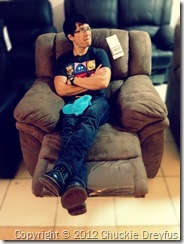 In no other furniture shop will you find warranties on foam and cushions up to 15 years long! Talk about getting your money’s worth. So, if you’re looking for quality furniture – beds, chairs, dining sets, cabinets, and more… before heading off to the mall or high end shops, make Mandaue Foam your very first stop. Isn’t it about time we patronize Filipino products and admire our world-class craftsmanship and quality? 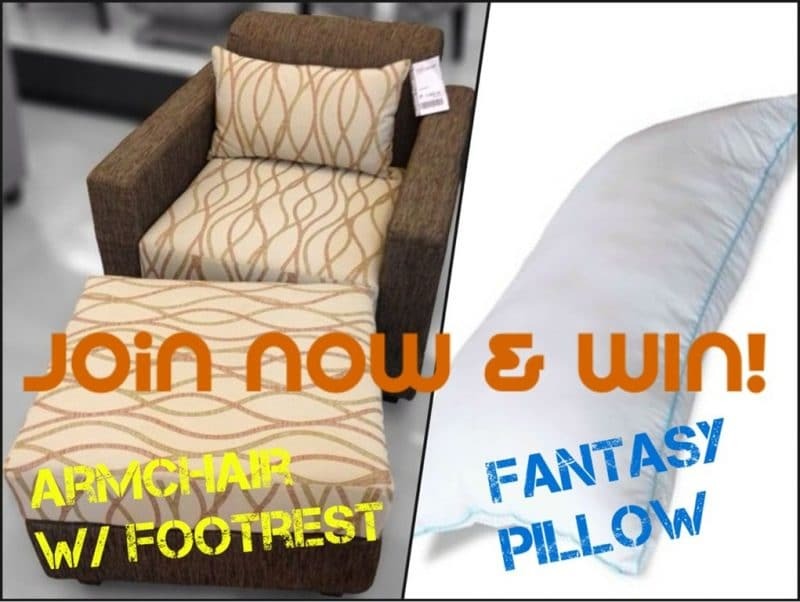 By the way… my wife’s travel and food blog, THE TUMMY TRAVELER, has an ongoing Mandaue Foam furniture giveaway. 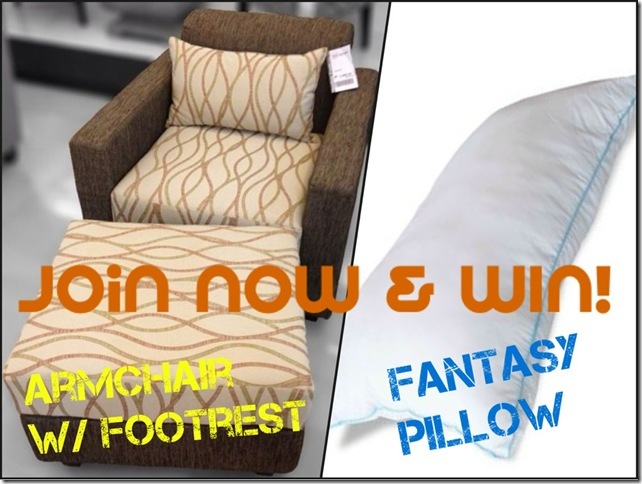 Get the chance to win an ARMCHAIR WITH FOOTREST or 1 of 5 FANTASY PILLOWS! Mechanics are easy and straightforward. Just click here to join! Good luck! ‹ LiveTattoo in Boracay (Day 1) › Tweet-Tweet, Tim!